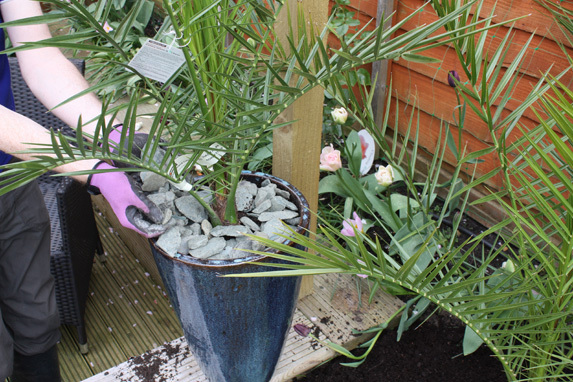 1) Place an inch or two of gravel or broken crocks in the bottom of a frost-proof pot and part fill with John Innes no.2 soil-based compost. 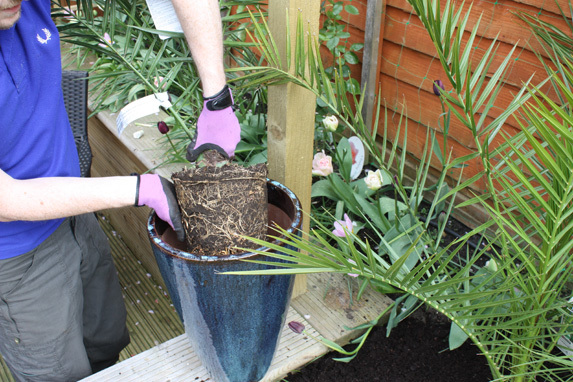 Test the level by setting the palm in the pot. 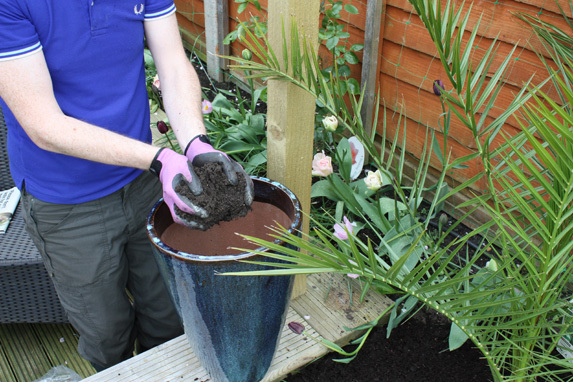 The rootball surface should be an inch or so below the pot rim. 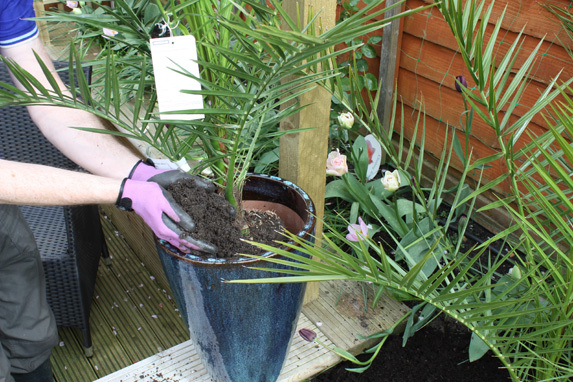 2) Remove the palm from it’s growing pot and gently tease out any dense roots to aid root establishment in the new container. Set the plant centrally in the container. 3) John Innes no.3 compost should already contain enough feed to get your plant through it’s first season. Back fill around the rootball, firming down in stages until the pot is full. 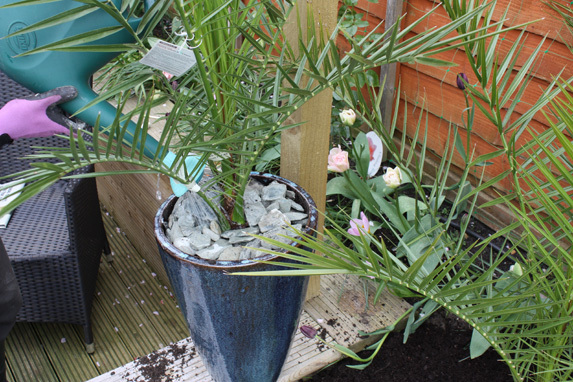 4) Add a decorative mulch to trap moisture in the pot and prevent weed establishment. 5) Water well. From here on check weekly for signs of drying out and water as necessary. Do not feed until next spring, when you can apply a topdressing of balanced fertiliser such as fish blood and bone.